The F-C relationship for atmospheric ozone is more complex than for other trace gases because of its marked vertical variations in absorption and concentration. 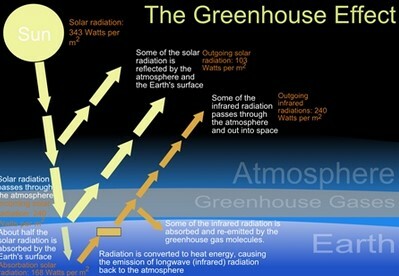 Changes in ozone can cause greenhouse forcing by influencing both solar and infrared radiation (section 1.2.4). The net change in radiative forcing is strongly dependent on the vertical distribution of ozone concentration changes, and is particularly sensitive to variations around the tropopause. Decreases in stratospheric ozone, principally over the Antarctic at altitudes between about 14 and 24km, have been occurring since the 1970s due to the anthropogenic release of CFCs and halons. These changes in ozone substantially perturb both solar and long-wave radiation (WMO, 1991). While the solar effects due to ozone loss are determined by the total column ozone amounts, the long-wave effects are determined both by the amount and its vertical location (Lacis et al., 1990). In general, stratospheric ozone loss will tend to increase the solar forcing, resulting in surface-troposphere warming, whilst decreasing greenhouse forcing, with consequent surface-troposphere cooling (Isaksen et al., 1992; WMO, 1991). Most models unambiguously demonstrate that changes in greenhouse forcing are dominant (Wang et al., 1993; Schwarzkopf & Ramaswamy, 1993). Hansen et al. (1993) compute a global mean forcing of -0.2 0.1Wm-2 between 1970 and 1990. Such a value represents a significant offset to the positive greenhouse forcing from changes in halocarbons over the same period, estimated at 0.22Wm-2 (Shine et al., 1990). 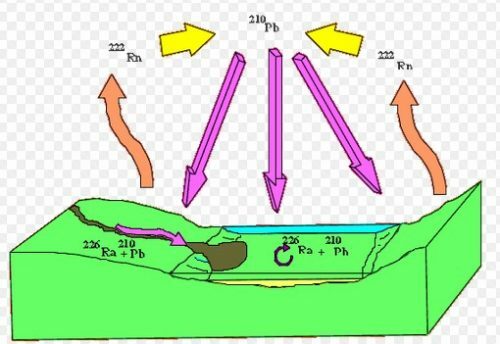 The build up of tropospheric ozone due to chemical reactions involving precursors produced in various industrial processes (section 6.4.5) has potentially important consequences for radiative forcing. Hauglustine et al. (1994) used a 2-D radiative-convective model to estimate that changes in tropospheric ozone since pre-industrial times have contributed a global mean forcing of 0.55Wm-2. This agrees well with other studies, both modelling (WMO, 1994) and observational (Marenco et al., 1994). Nevertheless, the increases in tropospheric ozone will be highly regional and so will the positive greenhouse forcing associated with them.